I definitely am getting the hang of finger detangling. I read a post by Urban Bush Babes about finger detangling and it was like everything I needed to read and more. Click HERE to check it out. Basically, I knew that my hair responded well to dry finger detangling, but the key ingredient that was lacking was detangling from ROOT TO TIP. I'm familiar with combing from the bottom and working toward the top but with finger detangling it's the other way around. I detangled my hair in about 45 mins last Saturday and I was shocked because it took me about two hours 2 weeks ago. EEeeekk. I was almost about to give up on the finger detangling club lol. 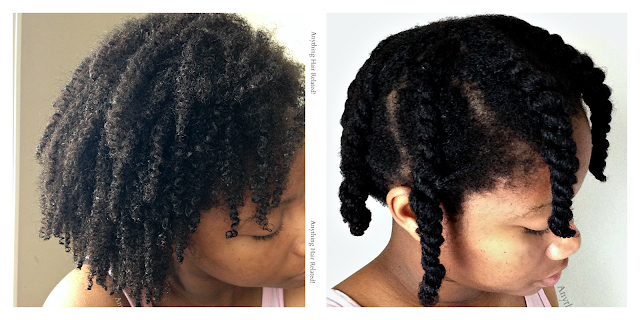 However, I still am trying to find a way to get less single strand knots. 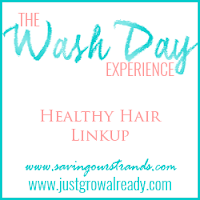 My downfall this wash day was not finger detangling before I washed. I thought that I could do it all in the shower. Unfortunately, I experienced some breakage and single strand knots. LESSON LEARNED! LOL! This is what my hair looked like before I jumped in the shower to wash my hair. Oh so tangled!!! This was truly a lazy wash day. After cowashing with Herbal Essences Cleansing Cowash (loosened dead skin with my tangle teezer of course), I deep conditioned with Miracle & deep conditioner. Next, I covered my hair with a plastic cap and applied heat with my Gold N Hot deep conditioning cap. I deep conditioned for 30 mins and used my scalp invigorator to massage my scalp for a couple of minutes. Next, I rinsed my hair in cool water and shook out the excess moisture to avoid frizz. Then I applied coconut oil as a leave in. 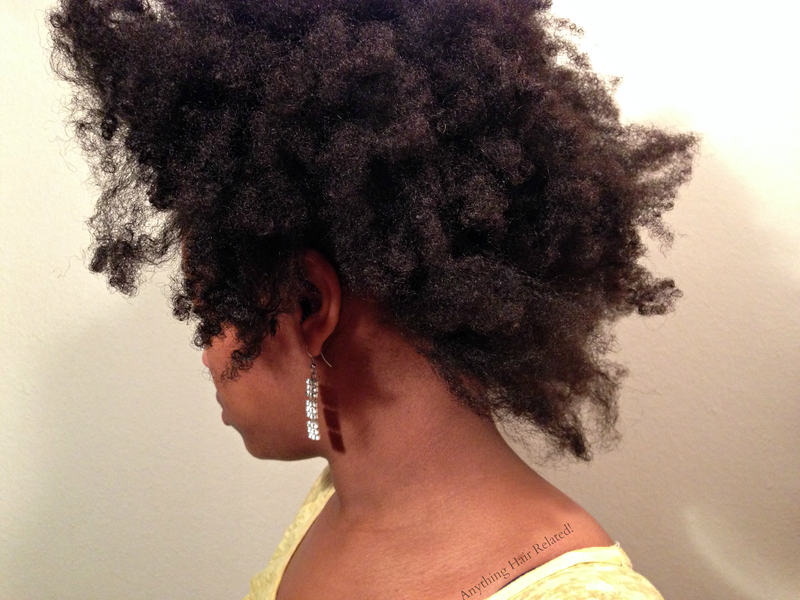 As far as style, I gravitated toward an old favorite, the famous twist out puff. I wear this style literally every week. 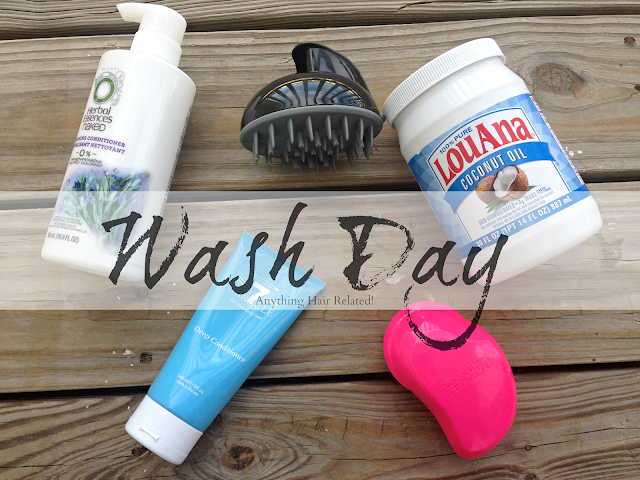 It's an easy style an is perfect for a lazy wash day. I flat twisted my hair and let it air dry overnight. The next morning, I untwisted with coconut oil and gathered half of my hair in the back into a high ponytail pineapple. Your curls are beyond gorgeous! 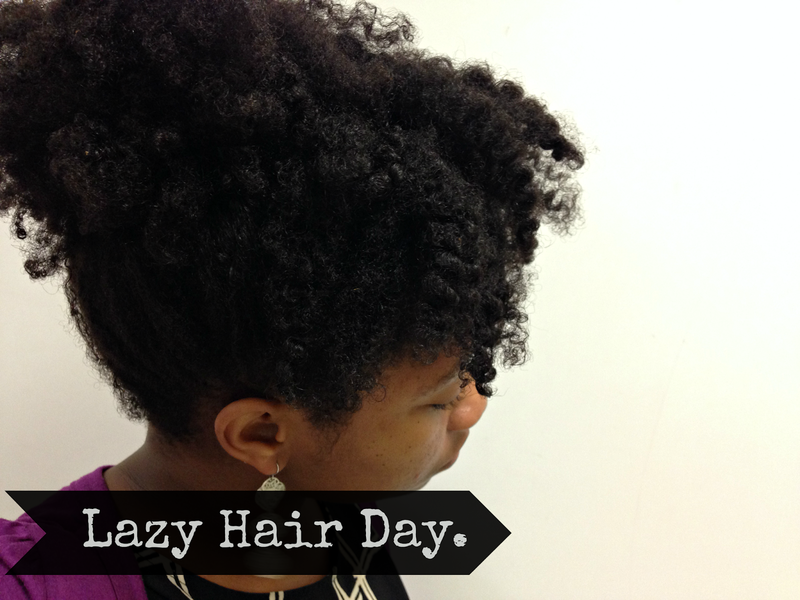 I'm a lazy day high puff girl too! It's gotta be the most quintessential natural girl lazy day style ever!